Hala Al-Tarifi DDS, PROF. CORP. (South Pasadena) - Book Appointment Online! Hala Al-Tarifi DDS, PROF. CORP. When you visit your South Pasadena general, cosmetic and family dentist Dr. Hala Al-Tarifi, your smile and oral health is our top priority. Our entire dental team is dedicated to providing you with the personalized, gentle care that you deserve. 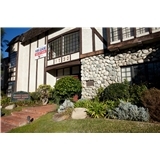 Hala Al-Tarifi, DDS is conveniently located at 1730 Huntington Drive Suite 102 in South Pasadena, CA. Proudly servicing patients from all over Los Angeles County, including surrounding communities, such as, Alhambra, San Gabriel, Monterey Hills, San Marino, South Arroyo and Montecito Heights. For driving directions click here. Part of our commitment to serving our patients includes providing information that helps them to make more informed decisions about their oral health needs. This website is a resource we hope you’ll find both useful and interesting. We genuinely hope this site is helpful to you in learning more about our practice, dental conditions and treatments, dental recommendations, and more. It was great! Very thorough and knowledgeable dentist. Would come back.